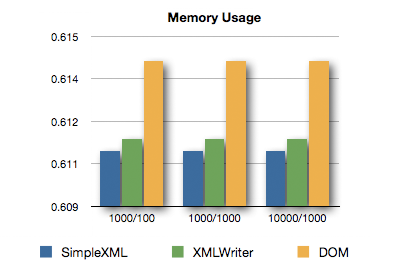 I have done a little Performance test for the 3 different methods available in PHP for XML generation. For this test I wrote a little script which generates the same XML File using the different methods. 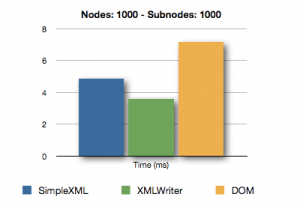 After this Tests, we can see that DOM is not an optimal method for XML generation. 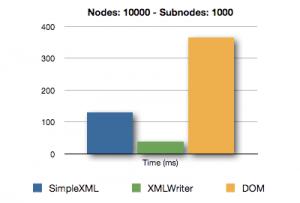 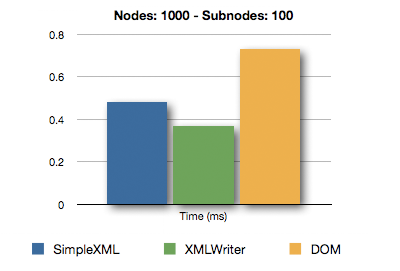 DOM with small files needs +0.40 seconds more then XMLWriter, and SimpleXML needs only +0.08 seconds more.